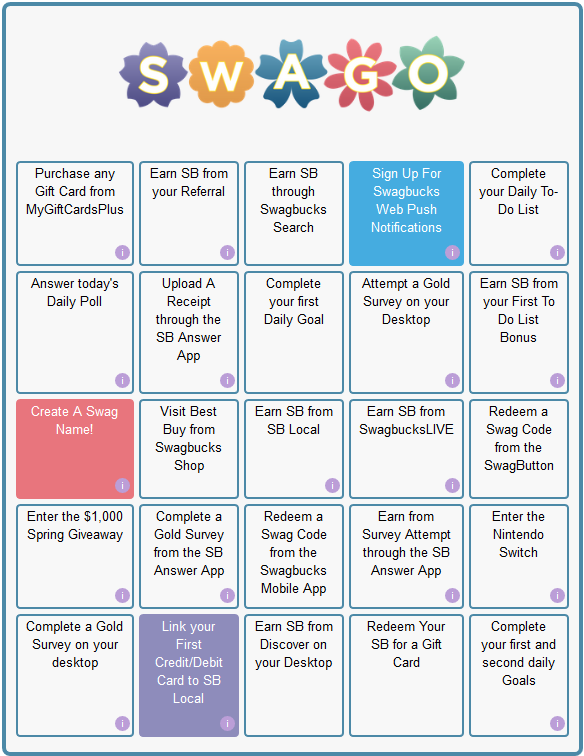 April’s Swago is ready for you to join today! It is not a Shop Swago as expected, and it does not come with a Spin & Win either. It can, however, earn you some bonus SB, so go and join now! 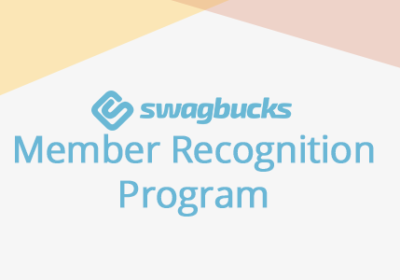 From the Swagbucks main page, you can find it on the left-hand menu under “Promotions”. 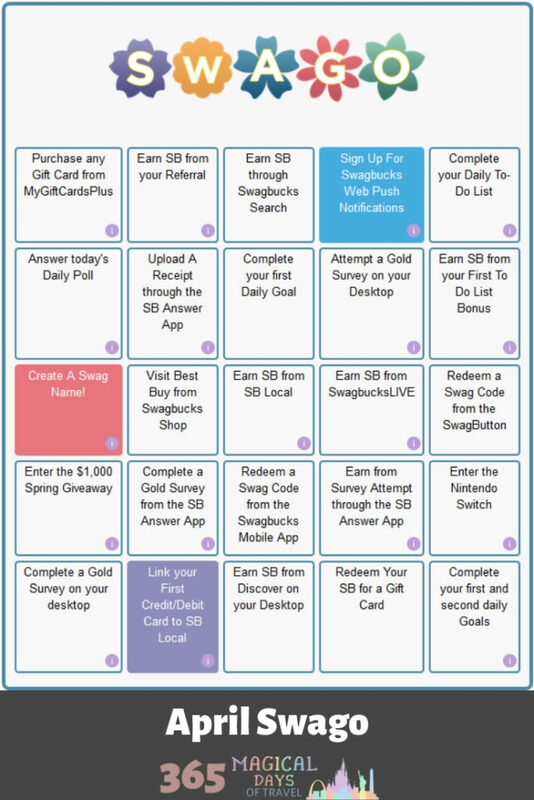 The Swago board this time around is interesting. It does have some easy squares, but they’ve put the SB Local in the center again, and you can get any amount for the MyGiftCardsPlus square once more. Be sure to get that gift card early if you are going to complete that square. I may go for the easiest pattern since I don’t have a lot of time to put into it this round. 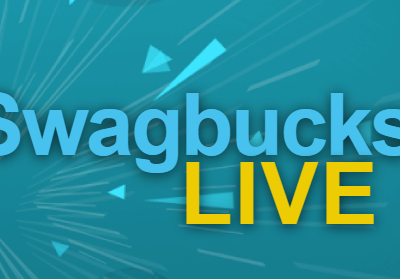 I am really going to miss the Spin & Win because I need some more free rejoins for SwagbucksLIVE! I’m getting out in the first couple of questions and then not wanting to rejoin for SB. 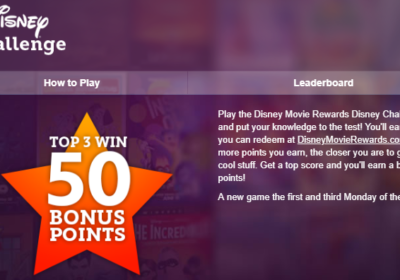 Spin & Win is great for bonus surveys, Swag Ups on redemptions, and just plain old bonus SB. Hopefully they bring back the Spin & Win next month!